Forget all that noise from so-called content marketing experts who don’t back up their advice with data. Image source. What’s the first thing a company should do before getting into content marketing? While opinions may vary, I’d say that analyzing other successful content marketers and their approach is a good start. During the month of October 2015, I downloaded social share counts from top blogs. Here are a few things I learned when analyzing their most shared posts. With all these obstacles in sight, why should marketers put in the time and effort to produce more visual content? 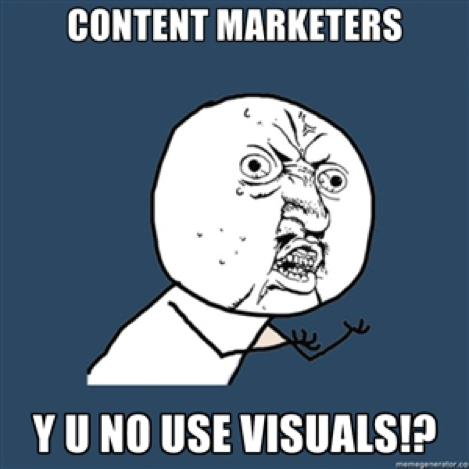 For starters, visual content has been shown to do well on social media. According to an article by Buffer, content with images gets 94% more views and receives 150% more retweets. 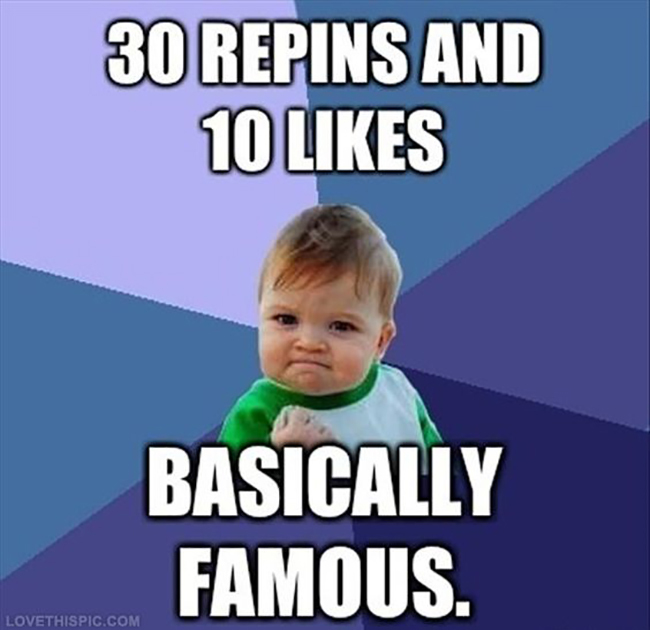 This is especially powerful on Pinterest where popular pins can get shared and re-pinned for months after they were first pinned. Take Content Marketing Institute for example. Their most shared post has over 40,000 total shares — more than quadruple the shares of even their second-most shared post. Guess where more than 90% of those shares came from? This baby knows what’s up. Content Marketing Institute doesn’t typically focus heavily on visual content — blog posts don’t have pin-able featured images or an easy-to-find Pinterest share button. Still, this beautiful piece of visual content compelled readers to pin it, effectively making this post into the most shared post on the site to date. Similarly, the top two shared posts on the Unbounce blog contain infographics and have heavy social sharing coming from Pinterest. Visual content may be more work, but don’t underestimate its potential when it comes to putting your content (and your brand) in front of a broader audience. Expert roundups have a bit of a bad rap. SEO pundit Jacob King recently ranted about how these posts are often “desperate attempts to get links and social shares,” often incorporating quotes from online marketers that people have never heard of. Jacob’s rant was upvoted to the top of Inbound.org for several days. Well, there’s a reason that so many newbie bloggers are jumping on the “expert roundup” train: when executed properly, they can result in a ton of social shares. Note: The total shares represent the summation of share counts from Facebook, Twitter, Google Plus, LinkedIn and Pinterest. So get your lasso ready, but please be sure to reach out to actual experts who can teach your readers a new thing (or two). A lot of businesses looking to get into content marketing are obsessed with SEO. Their hope is that they can create a ton of optimized content to drive traffic to their sites (and hopefully drive a ton of conversions, too). However, search engines are only one of many sources of traffic, and not all popular content is optimized for it. In fact, if you want something to go viral on social media, sometimes it’s better to create a title that is compelling and gets attention (rather than one that is clearly targeting a keyword that you want to rank for). Help Scout Blog’s most shared post “Silence Is a Noxious Gas” has 9,929 social shares — and judging by the more “clever” title, SEO isn’t their primary goal. While search engines are an important consideration, you don’t have to optimize everything for SEO. For every post you write, decide whether you want to rank or get shares, and then optimize for that singular goal. I’ve pitched a variety of guest post ideas to different blogs. One interesting discovery is that many established blogs are afraid of controversial or speculative content. However, my research showed that controversy and different perspectives can make content stand out and get noticed. In the most shared article on the WordStream blog, “Goodbye, Google+: Social Network Broken Into Streams and Photos Products,” Larry Kim declares the death of Google+. While predicting the death of Google+ was speculative, Larry had some pretty persuasive arguments to back up his opinion. The result? The article fueled a heated discussion among the online marketing community — and it got shared far and wide. Properly defining the scope of their content is a challenge that content marketers everywhere face. Should articles be narrow in focus and catered to a very specific target market? In this post on Quick Sprout (see Lesson #4), Neil Patel explains that narrowing the scope of their content to target e-commerce and SaaS companies provided more and better leads for their sales team. The most shared post is about music and doesn’t have much to do with social media. 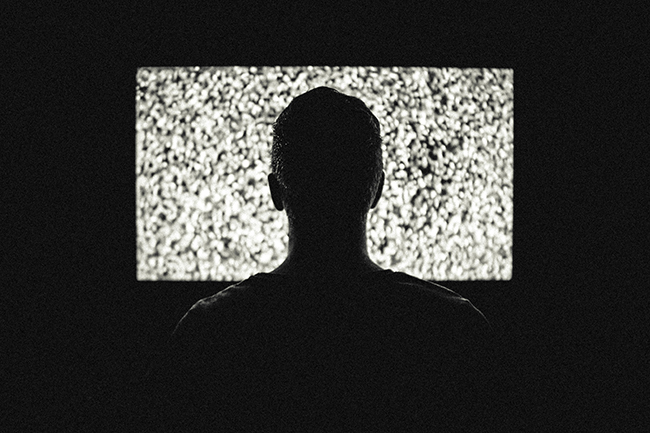 The “Why Facebook is Blue” post by Leo Widrich has some insights that are applicable to social media marketers, but approaches the topic from an angle that is relatable to the general public. While these posts may not convert customers as well as posts that are more focused on social media marketing, they do massively increase social reach and are great for branding and awareness. Most content marketers focus on writing targeted articles that zero in on the interests and pain points of their prospects. But occasionally, a broadly targeted article can be beneficial, especially if it has viral potential. Popular blogs in the online marketing niche love data-driven content and case studies. List posts, on the other hand, don’t get as much appreciation from editors since they’re much easier to create and generally less authoritative and actionable. In fact, some sites that accept guest contributions specifically state that they don’t want people to submit list posts. Still, the proof is in the pudding. When they’re done right, list posts often result in a high number of social shares. So before you dismiss a list post as too “fluffy” for your readers, consider that it just might be what they’re looking for (or at least looking to Tweet about). Phew — that was a lot of data to process. Let’s recap the key takeaways. While visuals and infographics increase the time and cost of content production, they allow content to get shared more. Even content marketers that aren’t focused on Pinterest have seen some nice gains from that social network. Although expert roundups are not popular with some content marketers, they are still highly effective if executed well. Several of Social Media Examiner’s top posts are expert roundups. While SEO is an important consideration and should be applied to some content, not everything needs to be optimized for search engines. In fact, sometimes ignoring keywords and creating a compelling headline can incentivize more readers to click that share button. Many established content marketers stay away from speculative or controversial content, but it’s a strategy that can result in significant social sharing and traffic. 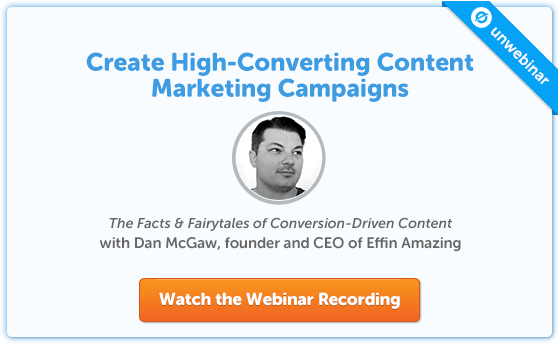 Many content marketers define their niche narrowly to attract a high-converting audience. But broadly targeted articles are good for branding and can expand social reach significantly. Incorporating at least a few broadly targeted articles could be helpful if one of your content marketing goals is to increase brand awareness. Some blogs stay away from list posts and favor case studies and data-driven content. However, list posts are still shown to be popular on social media — consider mixing a few into your editorial calendar. Brian Lang is a digital marketing and creative consultant and the founder of Small Business Ideas Blog. Sign up for his free newsletter to learn more about his experiences in digital marketing and business from his 10+ years as an entrepreneur.